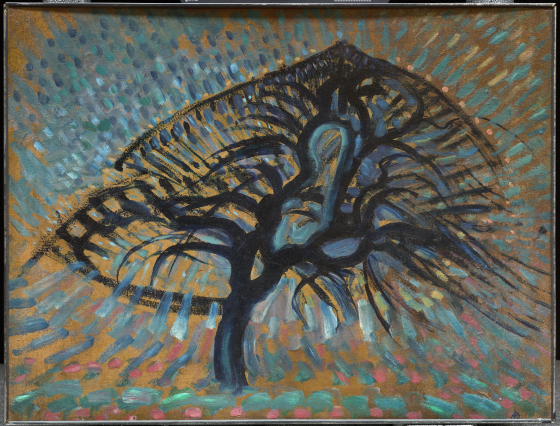 This tree is composed of radiating branches of intense color and slashing lines. 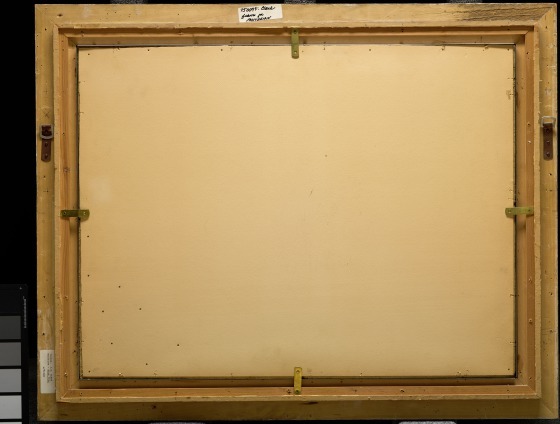 For Piet Mondrian, the precise depiction of a specific scene was unimportant; rather, the artist sought to convey the dynamic energy of nature through line and color. Mondrian had become interested in theosophy, a religion focused on humanity's evolution toward spiritual unity. 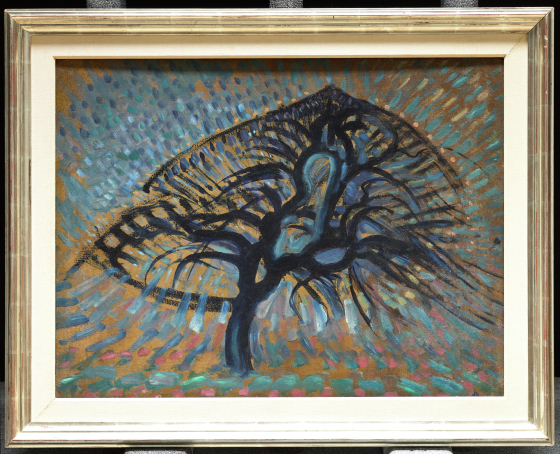 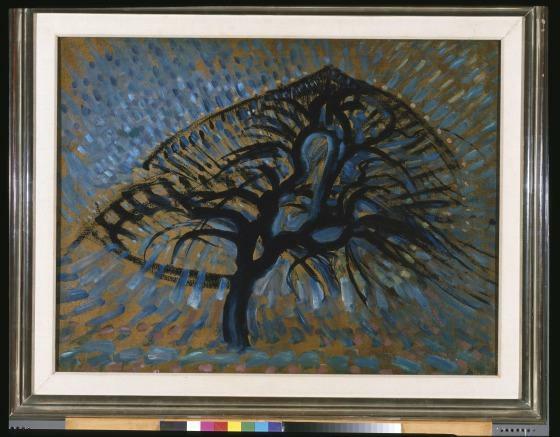 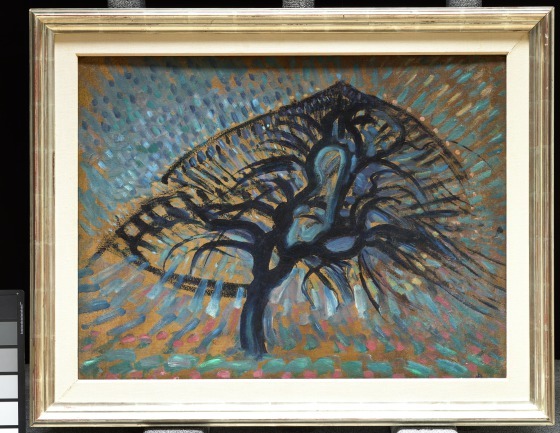 The color blue that dominates this painting and the triangular form of the tree may have been inspired by symbols considered universal by theosophists. 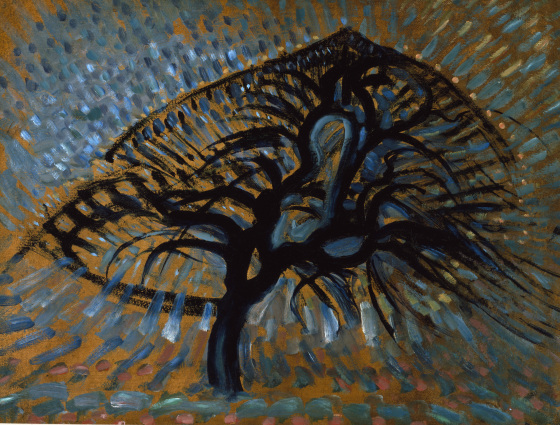 Mondrian clung to the theosophical belief in evolution and viewed his own work as a constant progression toward pure spirit. 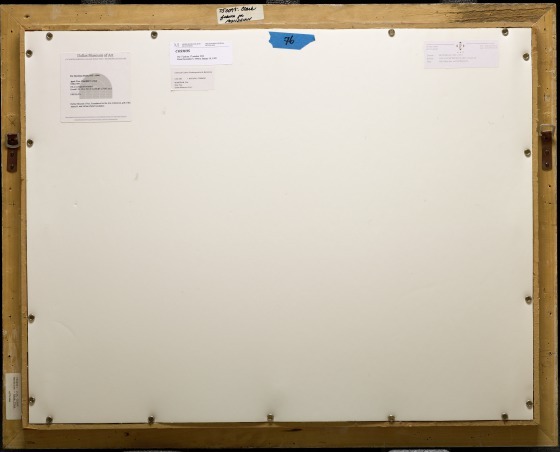 Tate Kids provides an excellent way to introduce the work of Piet Mondrian to children. 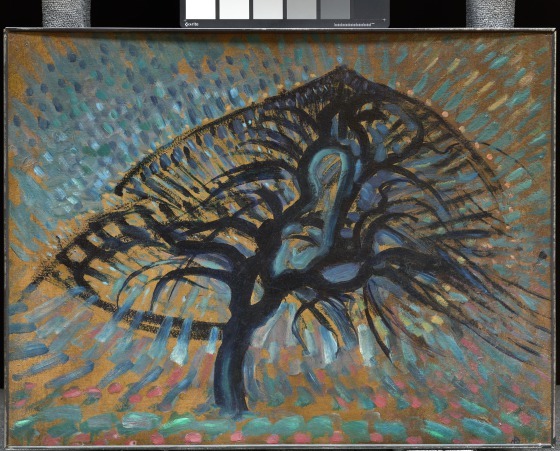 Learn more about the artist and his work from the Guggenheim. 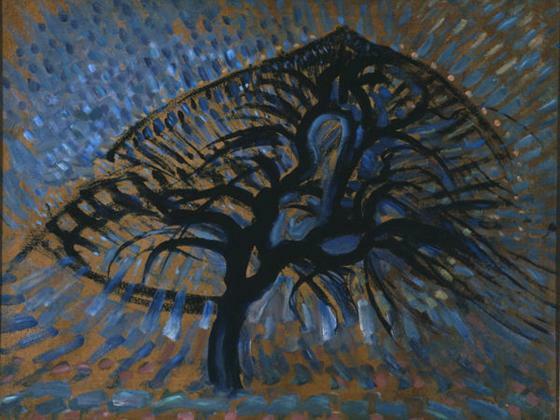 Browse this list of ways to incorporate the artist's aesthetics and techniques into your daily life.